How can I move the coordinate axis center-line into the part of the stage where I want to shoot my scene? 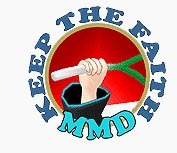 How can I make it easy on myself as I create an MMD animation? 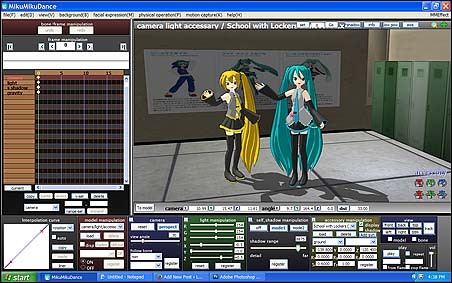 Why is the camera motion so messed-up as I create my MMD animation? 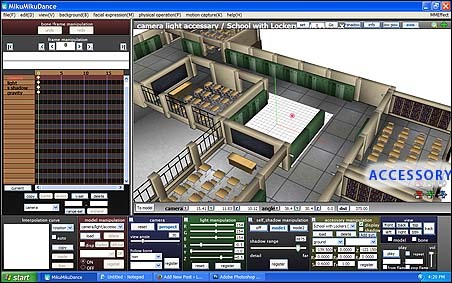 I have some very large stages… like “MMD Batokin Island” or “MMD Inside of School” and “Yokohama Rural Stage“… and I always move that stage so that the action area is centered on the coordinate axis center-line so as to make the camerawork easier! near the MMD coordinate axis center-line! 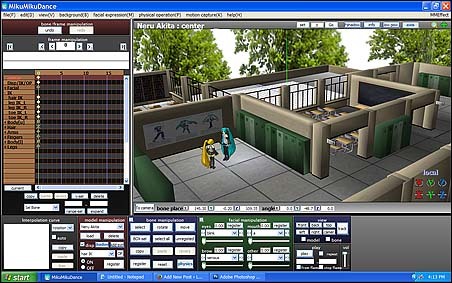 When I load the MMD Inside of School stage, the coordinate axis center-line is, by default, in the center of the courtyard… but I want to shoot a scene in the hallway! … and then, when they start to move the camera, they find that the camera controls seem to be way out of whack! It takes real effort to make a simple camera move… things just aren’t working right! Move the stage so that your area of interest is positioned under the coordinate axis center-line! Click to get into Accessory mode and use the XYZ rollers to position the stage. 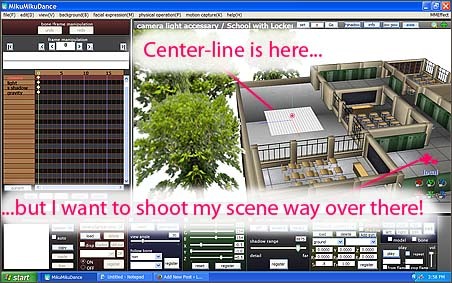 With the center-line now in center-stage… when you load models, they will be center-stage… and as you swing the camera, it will move easily around center-stage.